Check out this quite frankly awesome addition to your kitchen. Yep, that's a fridge. 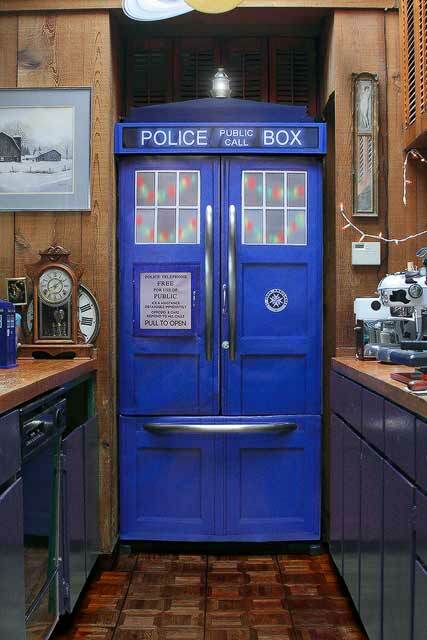 A TARDIS fridge. It has been created by the folks over at Glass Sculpture and can be bought in separate parts - the door, a side skin and an audio module which makes the TARDIS noise every time you open the door.